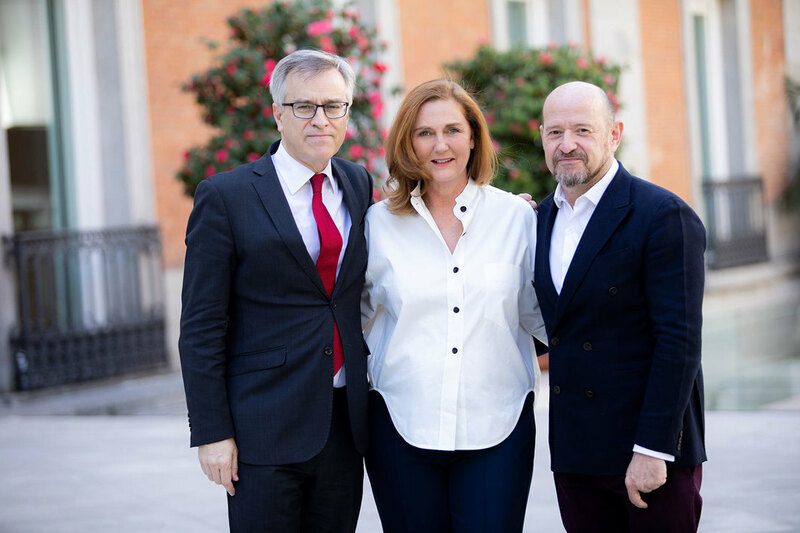 Guillermo Solana, artistic director of Museo Nacional Thyssen-Bornemisza; Francesca Thyssen-Bornemisza; and Carlos Urroz, the new director of Thyssen-Bornemisza Art Contemporary. Carlos Urroz, the former director of ARCOmadrid, has been named director of Thyssen-Bornemisza Art Contemporary (TBA21), the Vienna-based foundation created by philanthropist and collector Francesca Thyssen-Bornemisza. The appointment coincides with TBA21’s signing of a new agreement with the Museo Nacional Thyssen-Bornemisza in Madrid, which was founded by Francesca’s father, the Swiss industrialist Baron Hans Heinrich Thyssen-Bornemisza. The institution will present eight exhibitions of contemporary works from the foundation’s collection over the course of the next four years. During his tenure at ARCOmadrid, which he joined in May 2011, Urroz led the fair through an economic recession, created a new section for young galleries, and helped ARCO expand with the successful launch of ARCOlisboa in Portugal. Previously, he served as visual arts adviser to Madrid’s Department of Education and Culture; established and directed Urroz Proyectos, which developed and realized projects within the cultural and communications fields; and directed Galería Helga de Alvear.